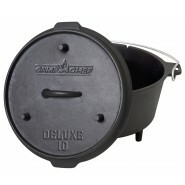 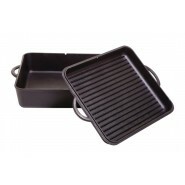 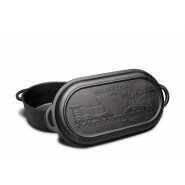 Advantage cast iron by Camp Chef is made to meet the highest standards. 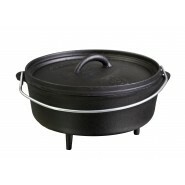 Pre-seasoned cast iron comes ready to use and is the perfect addition to any setup. 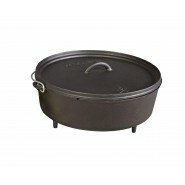 Dutch ovens are a favorite for the regular DOG (Dutch Oven Gathering) attendee or backyard chef alike. 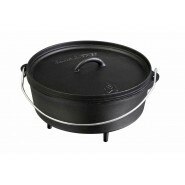 The Ultimate Dutch oven series with its unique cone cooks just like a conventional oven, allowing you to cook faster and larger meals. 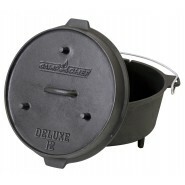 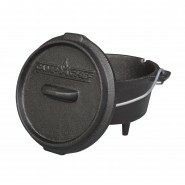 Camp Chef's Deluxe Dutch ovens are designed so that lid can be an additional skillet/griddle or work as a trivet or stand for the oven itself. 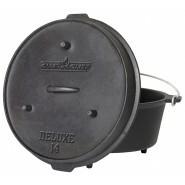 Our Classic series are high quality ovens with style. 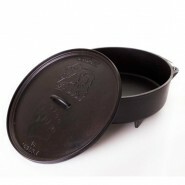 The animal etchings on the lid set these ovens apart from the competition. 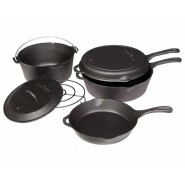 Elk, grizzly, whitetail, and mule deer each represent the various sizes. 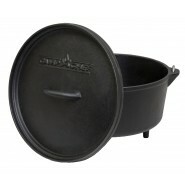 Chef cast iron Dutch ovens are lifetime products that make great gifts for those who may just be starting out in life.